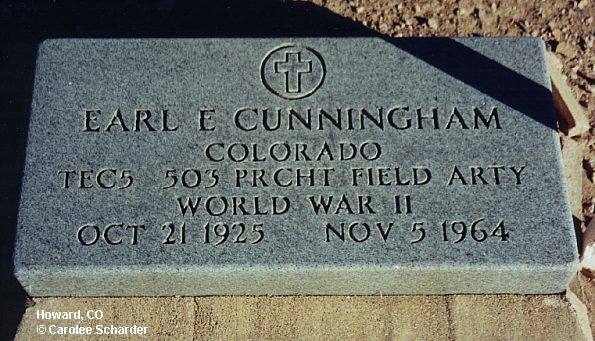 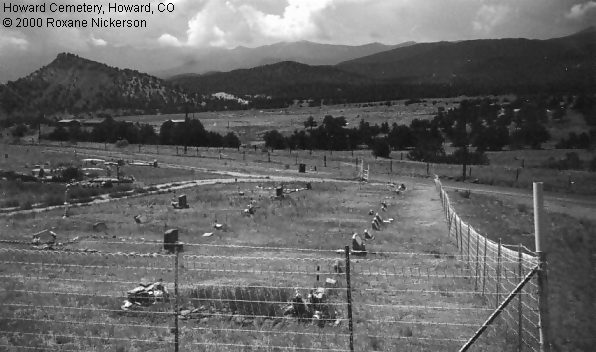 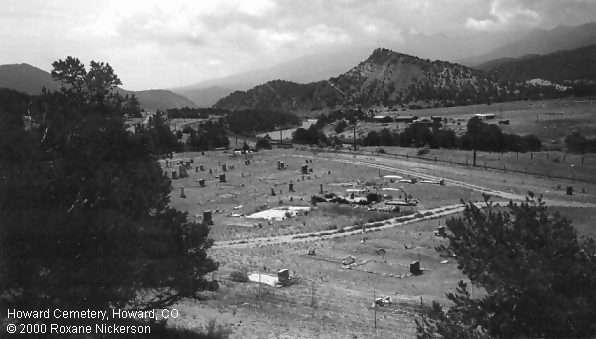 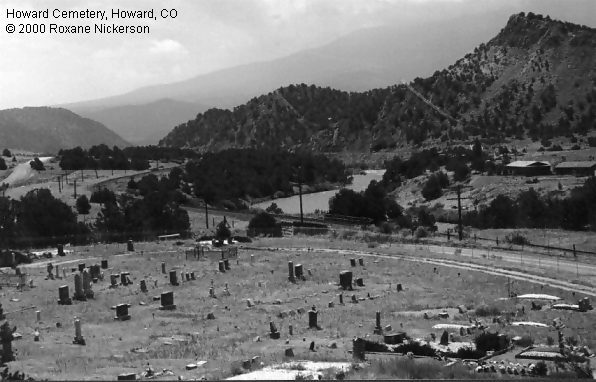 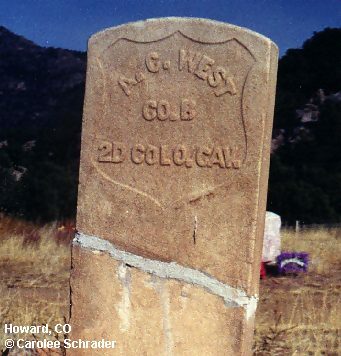 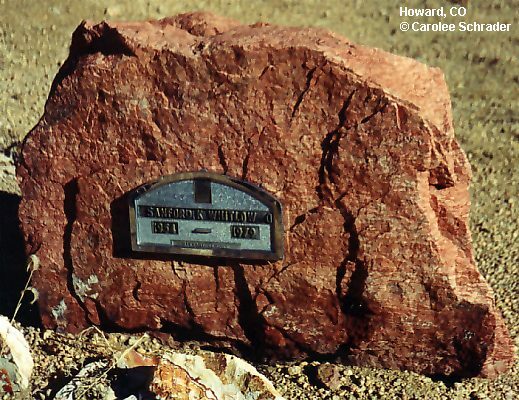 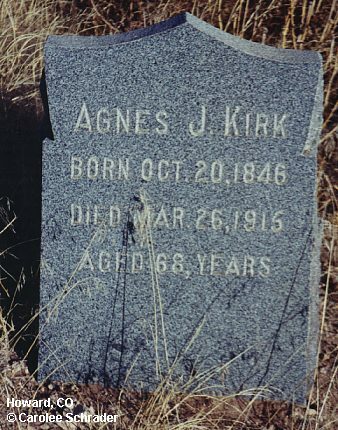 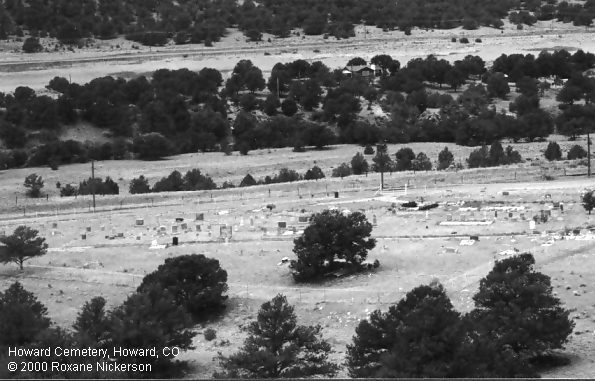 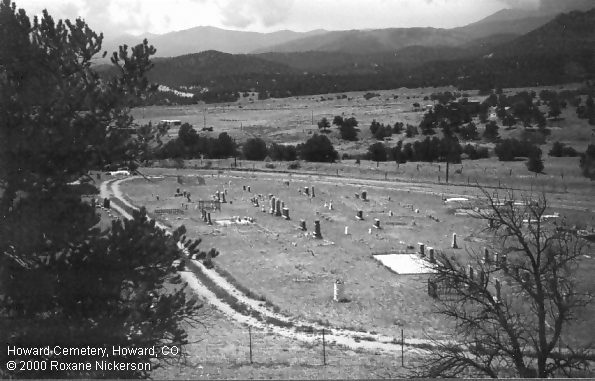 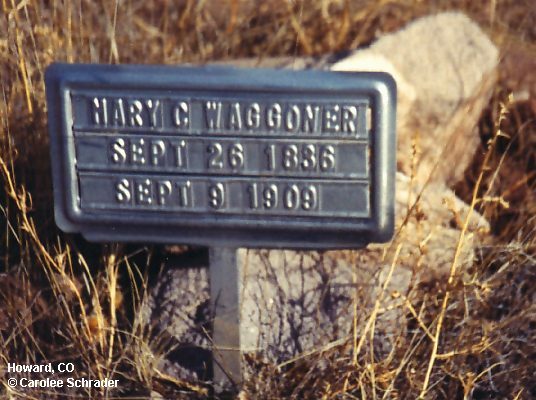 The Howard Cemetery is located in western Fremont County about 40 miles west of Cañon City. 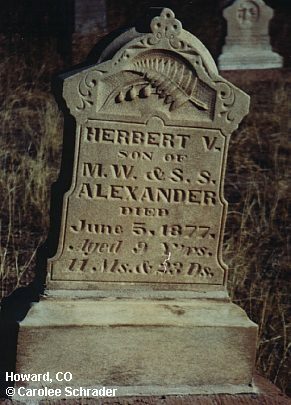 The cemetery is on county road 45 near Howard in the Arkansas River valley across the river from US 50. 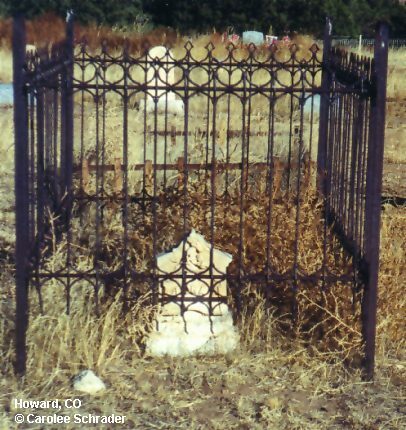 The Howard Cemetery dates from about 1874 and is still in use. 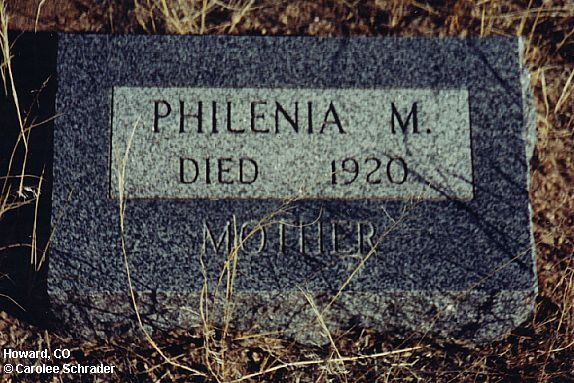 Until 1916 the cemetery was known as the Pleasant Valley Cemetery. 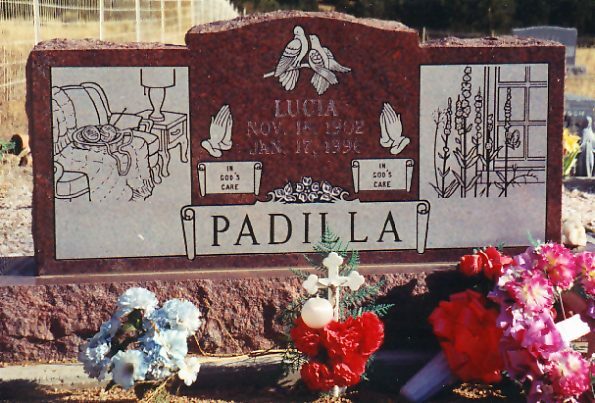 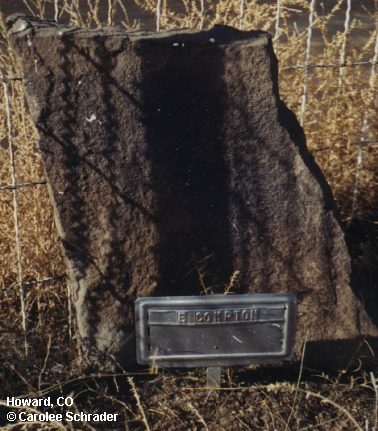 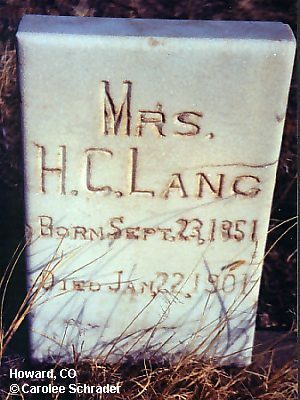 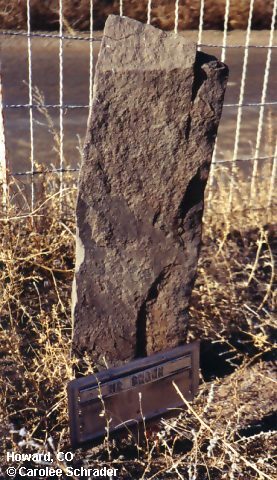 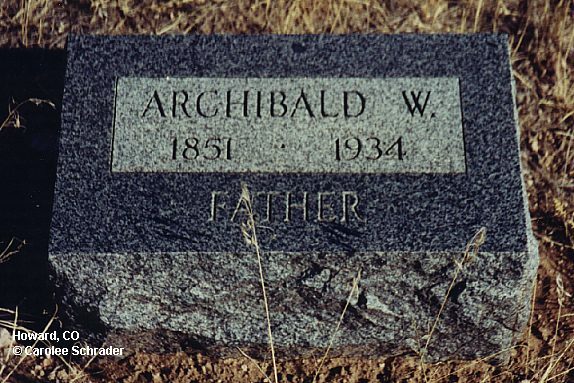 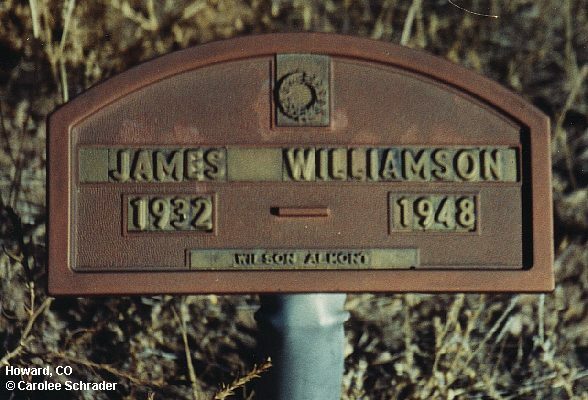 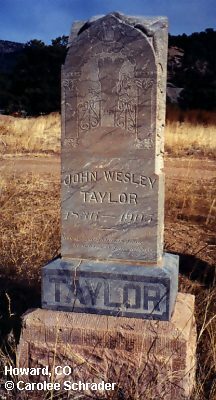 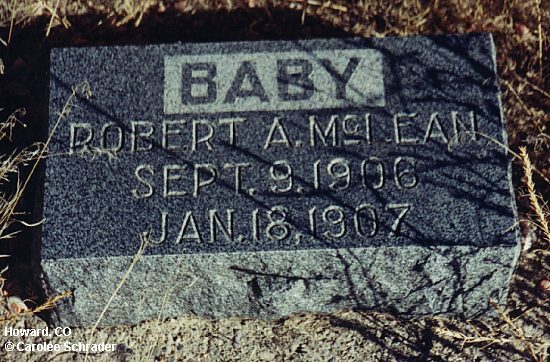 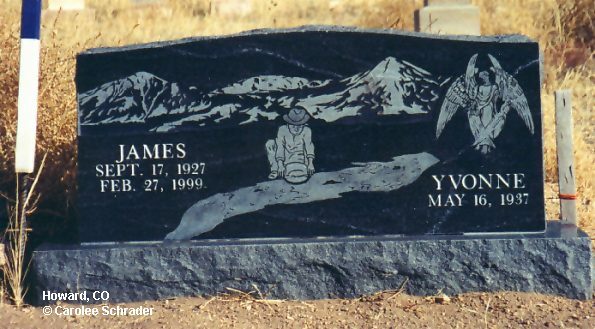 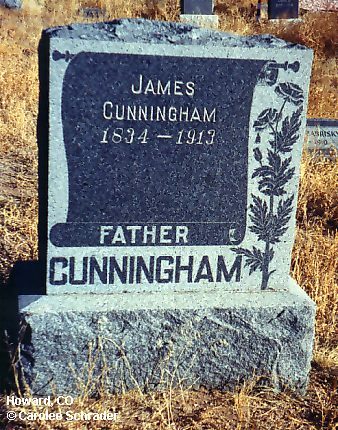 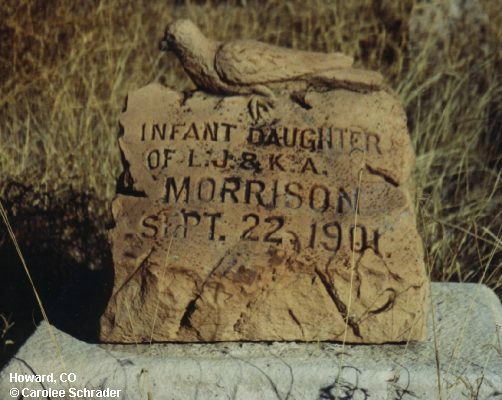 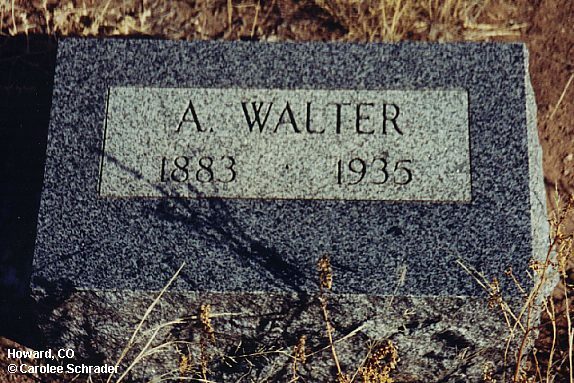 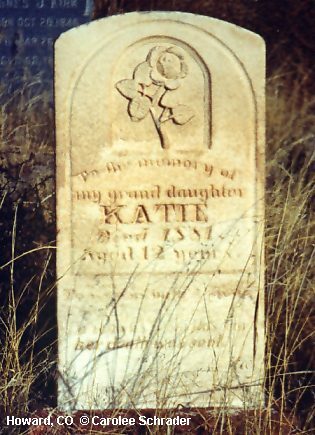 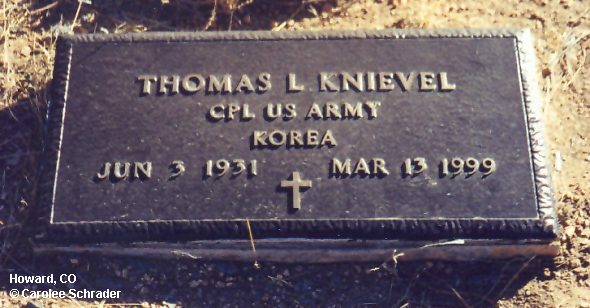 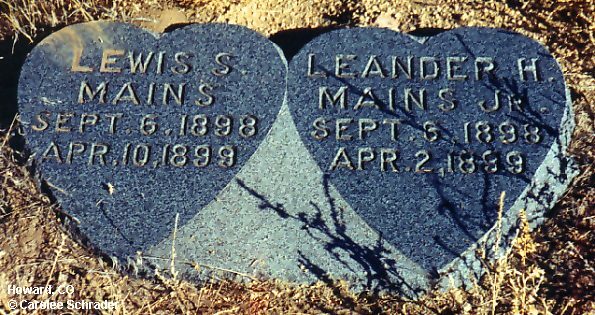 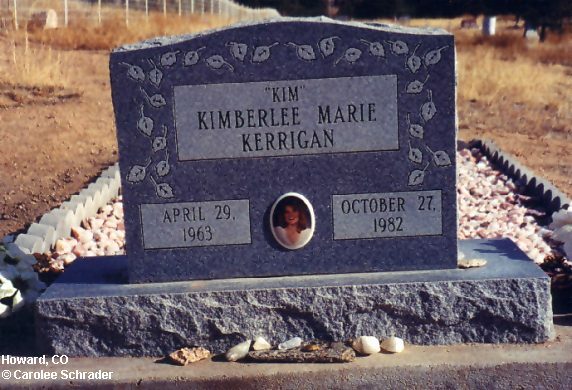 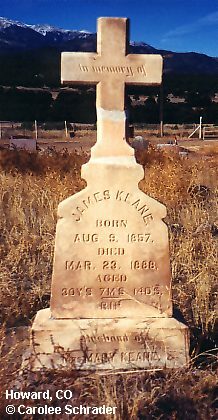 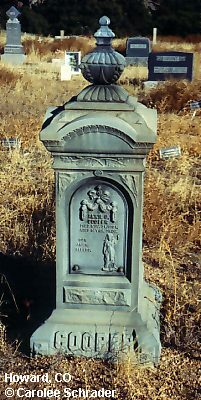 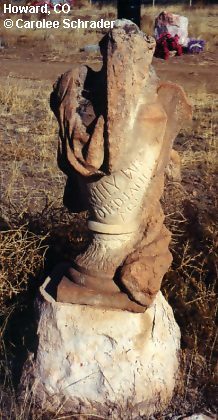 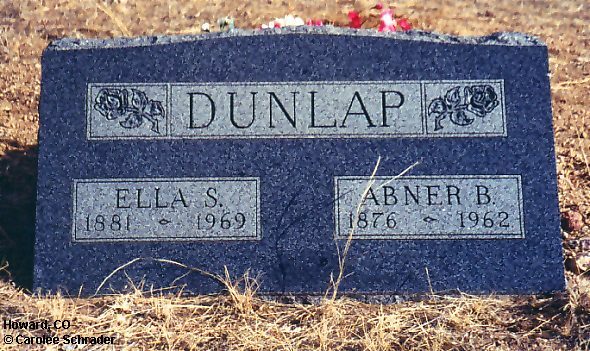 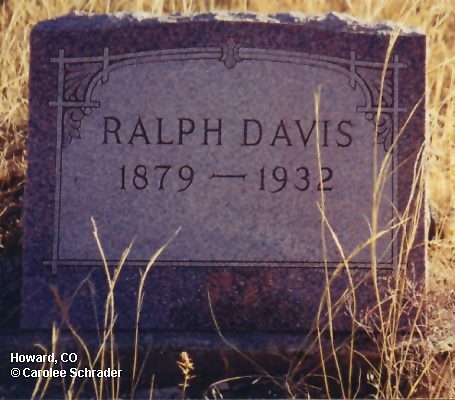 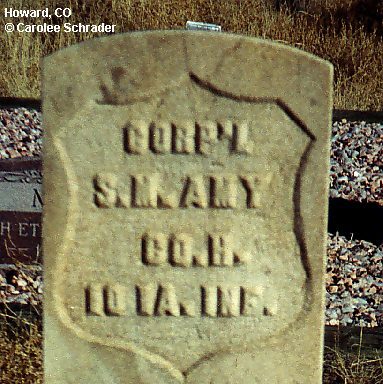 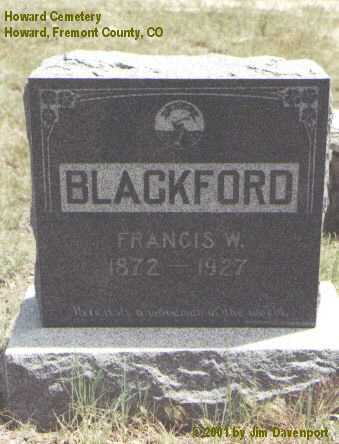 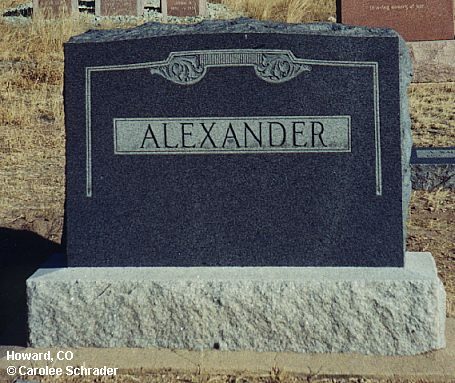 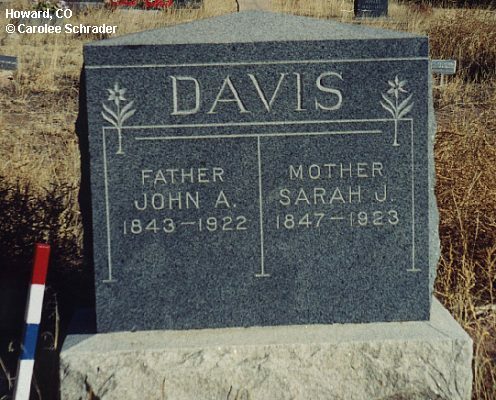 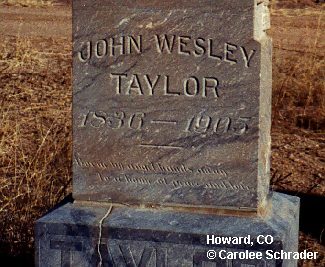 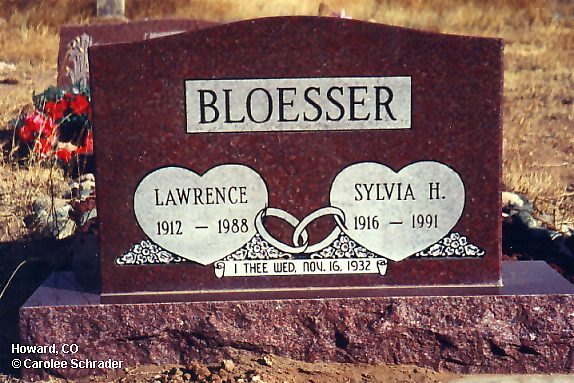 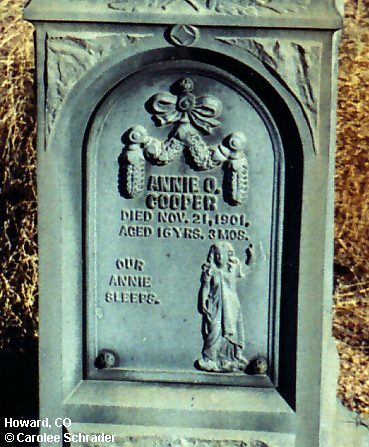 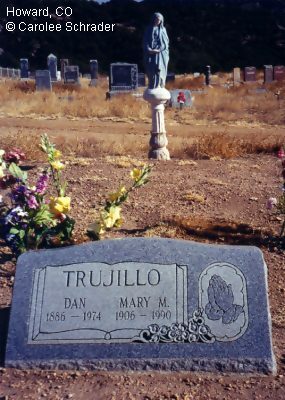 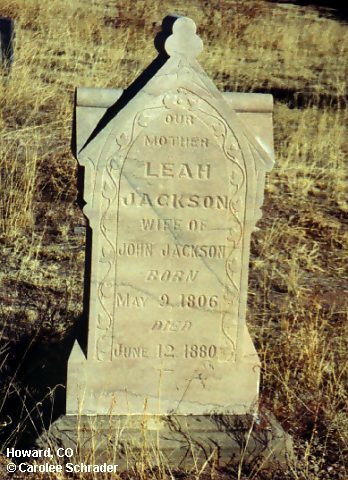 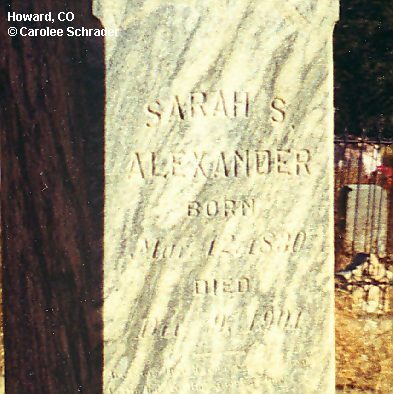 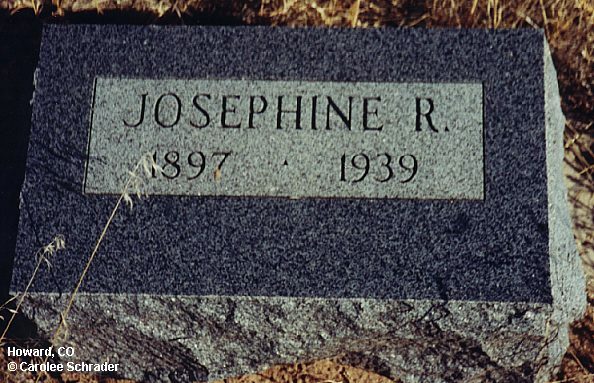 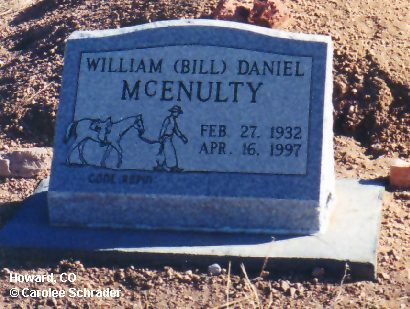 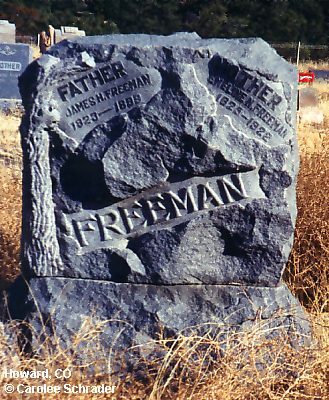 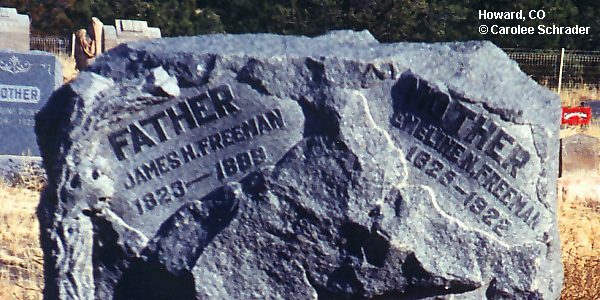 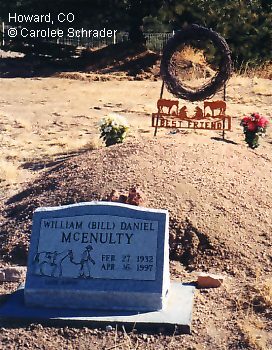 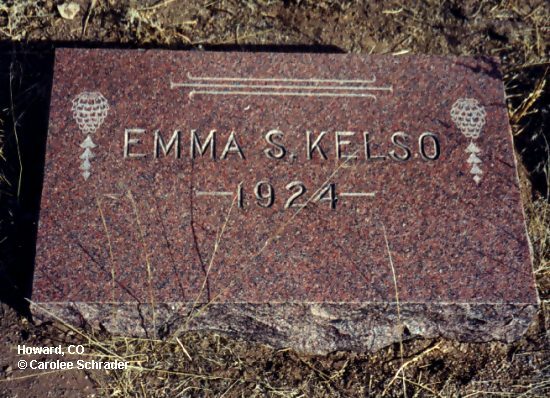 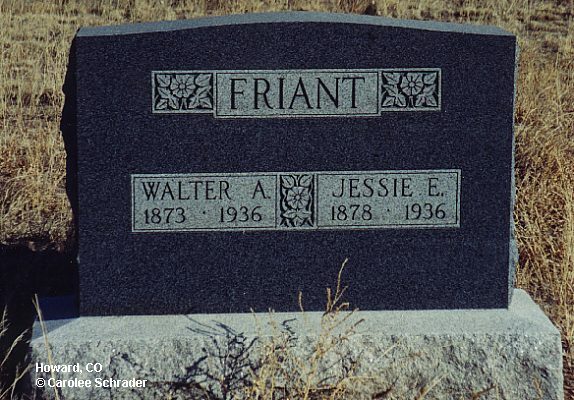 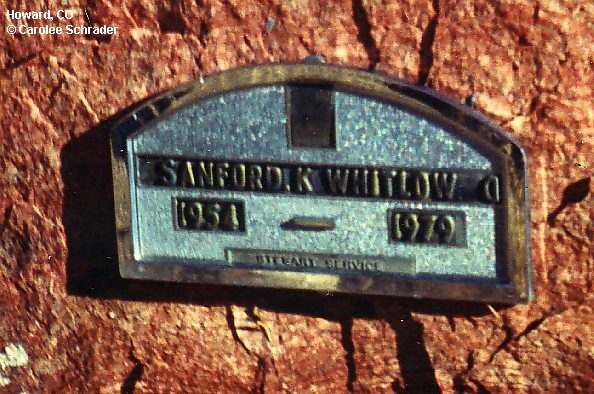 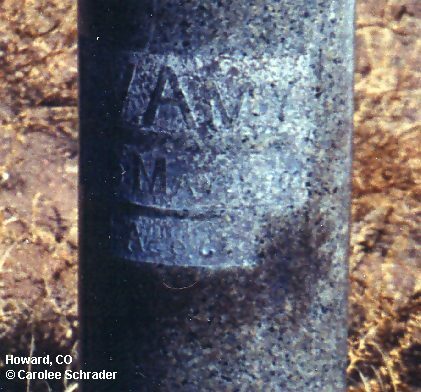 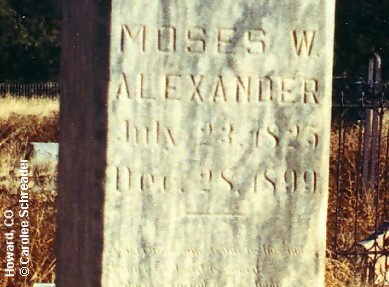 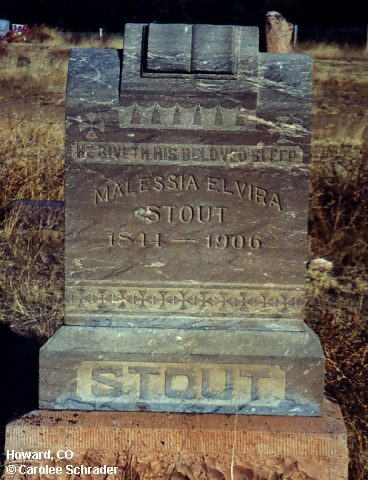 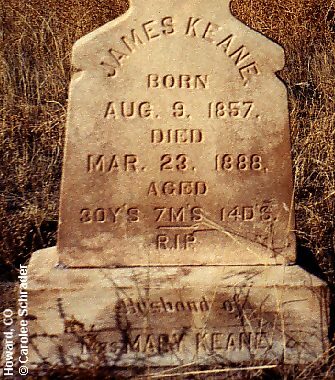 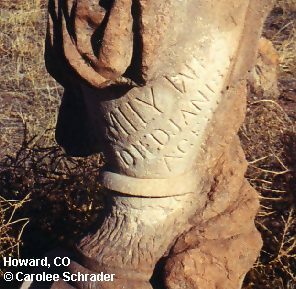 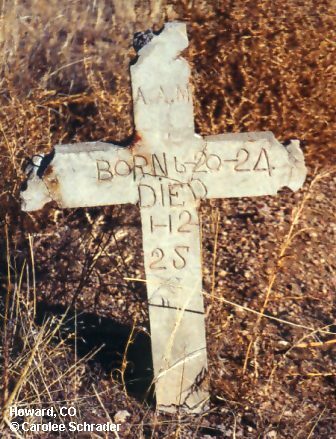 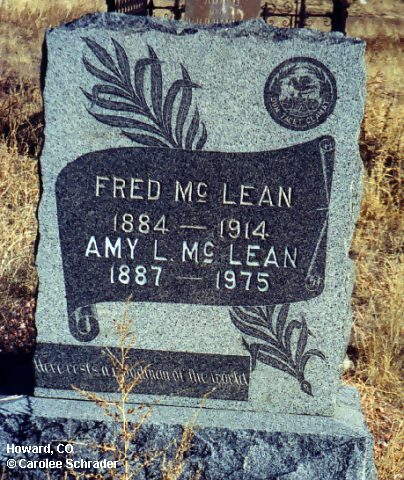 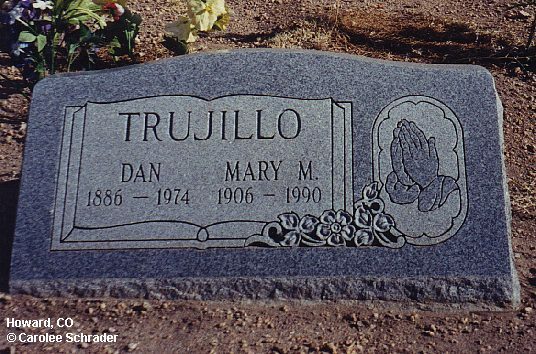 There is a complete transcription of the headstones and records of the Howard Cemetery in the Fremont County USGenWeb Archives. 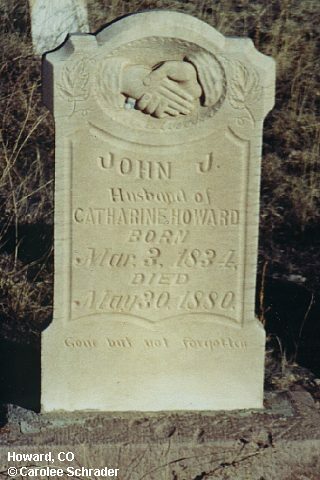 The Howard Cemetery photograph is used with the kind permission of Roxane Nickerson, vice president of the Western Fremont Historical Society and secretary/treasurer of the Howard Cemetery Association. 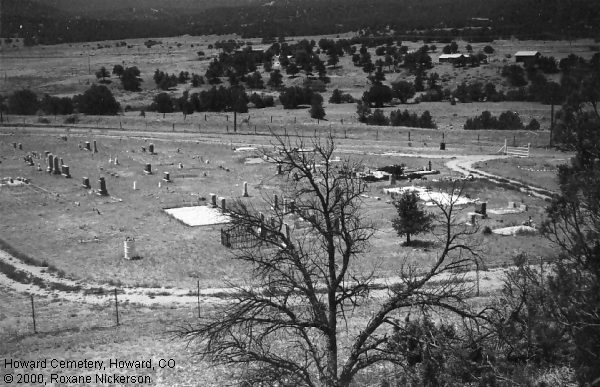 A larger view and five additional Howard Cemetery photographs by Roxane are also available for viewing: Larger photo, photo 2, photo 3, photo 4, photo 5, photo 6. 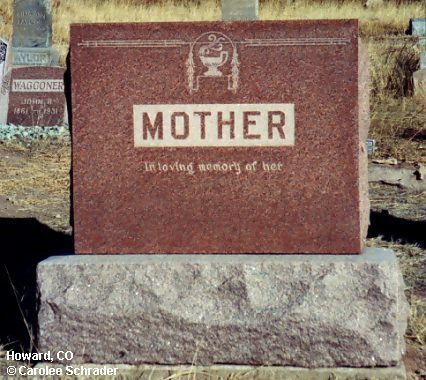 Carolee Schrader unless otherwise noted.